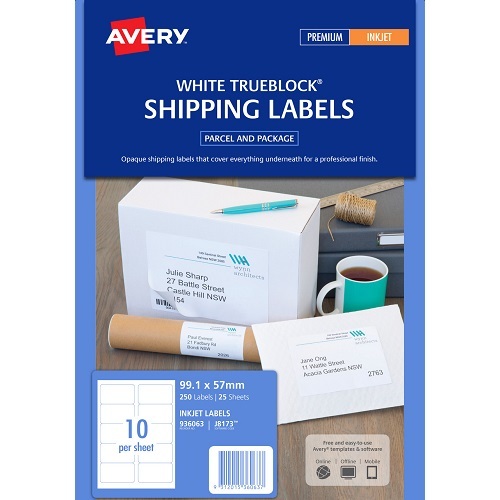 This is a small pack of Avery White Inkjet Labels, ideal for shipping use, large boxes and packages, perfect for the home and small office. 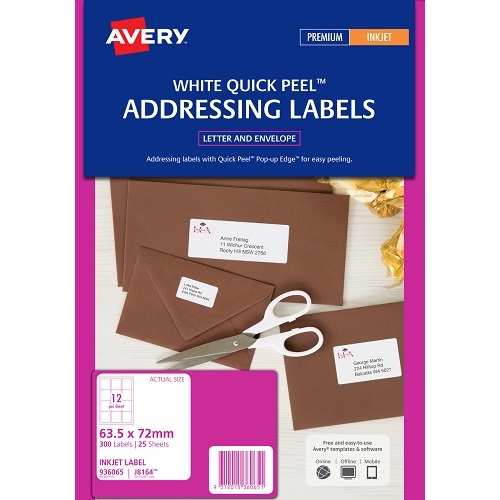 This is a small pack of Avery White Inkjet Labels ideal for mailing and addressing, particularly DL envelopes, perfect for the home and small office. 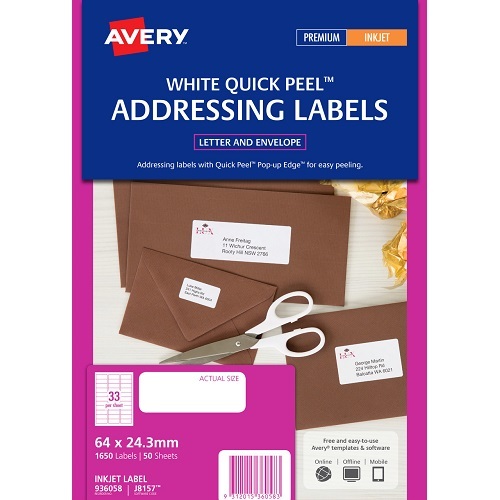 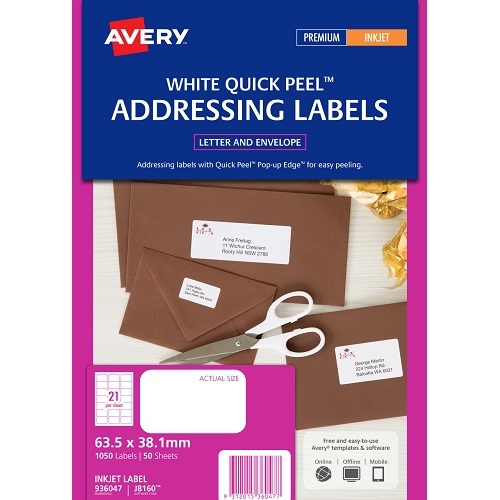 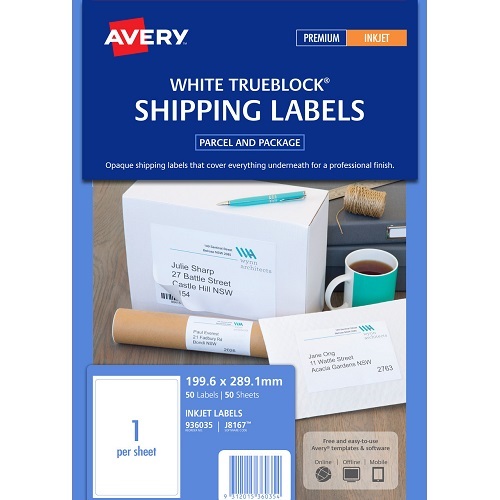 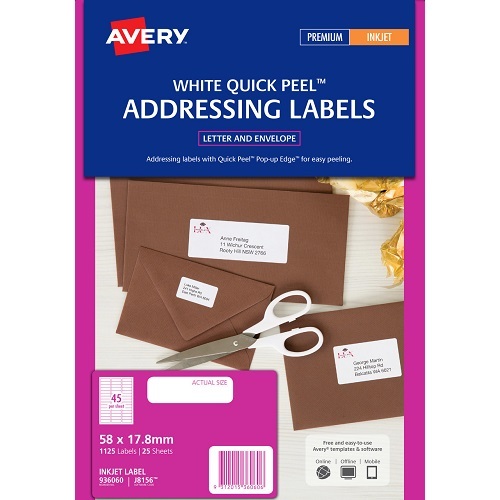 This is a small pack of Avery White Inkjet Labels ideal for mailing and addressing, particularly envelopes, perfect for the home and small office.